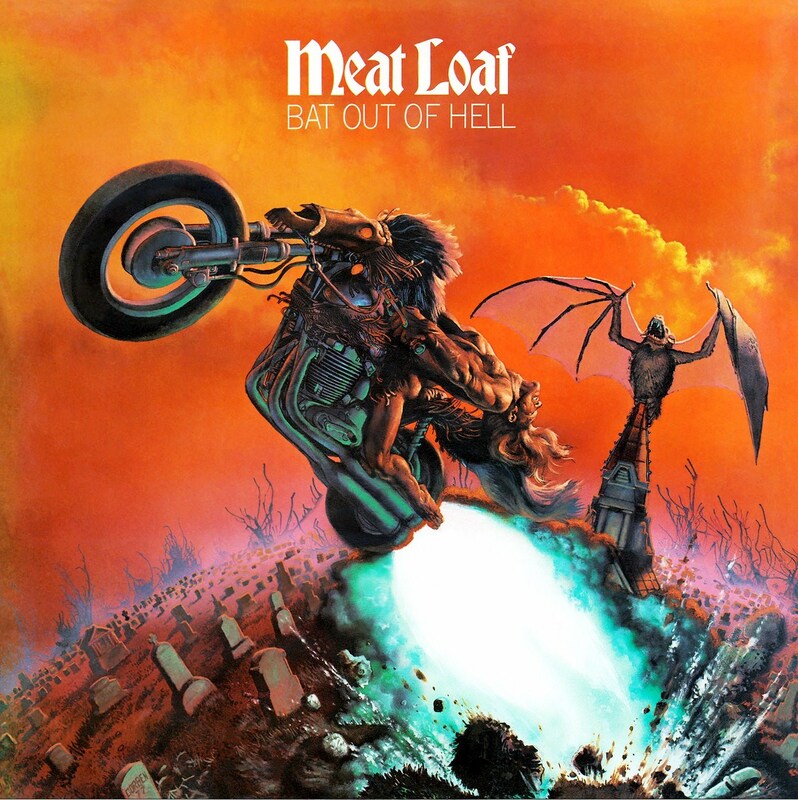 Corben’s cover art for the debut album by Meat Loaf and Jim Steinman, Bat Out of Hell, is explosive, iconic, classic. And since Bat Out of Hell is one of the best-selling albums of all time, I suspect that a great many people would recognize Jason Brashill’s cover to Judge Dredd 1996 Mega-Special as a homage to it. 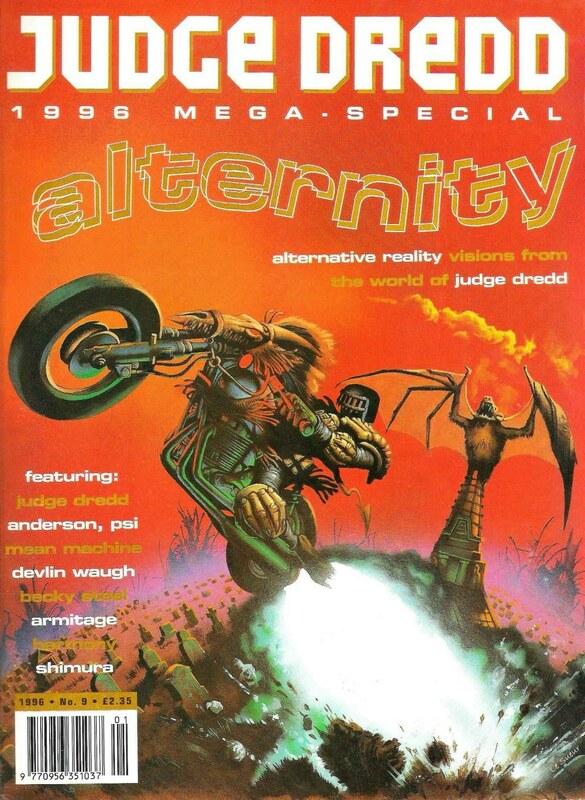 Still, I am delighted that the magazine’s editors acknowledged, on the indicia page, that the front cover art is “after MEATLOAF: Bat Out of Hell”; I am disappointed, however, that they didn’t see fit to mention Corben by name. Because technically speaking, it’s Corben’s art alone that Jason Brashill’s work is “after”; the typographical choices of the designer of the Bat Out of Hell cover have been completely ignored. I like it when homages at least try and change some things around. This one other than Judge Death seems almost a complete copy. You can tell the original by the airbrush sprayed ink spider legs in the back of the Corben. I can’t imagine the copier having the confidence to reproduce that. “After” indeed — That’s a straight-up swipe.